Direct Scaffold Supply Ring Lock Scaffolding Systems are built to be the most reliable and efficient scaffolding available. Safe and convenient, our Ring Lock Scaffolding line includes multiple ledgers, clamps, guardrails, connectors, stair stringers and steps and adapters. 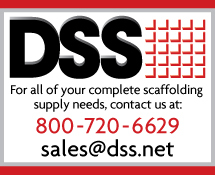 So whether you are in the market for a complete scaffolding system, or just need accessories that are compatible with your current ring lock scaffolding system, Direct Scaffold Supply is here to help with your next project. DSS Ring Lock Vertical Diagonals are manufactured under the guidance of our Exhaustive QA/QC program and ISO accreditation. Every single Vertical Diagonal manufactured is proof tested in the factory to ensure the highest possible standard of quality is provided to our clients. Our Ring Lock Vertical Diagonals are fully compatible with other leading ring lock systems around the world. DSS Ring Lock Intermediate Transoms are manufactured under the guidance of our Exhaustive QA/QC program and ISO accreditation. Every single Intermediate Transom manufactured is proof tested in the factory to ensure the highest possible standard of quality is provided to our clients. 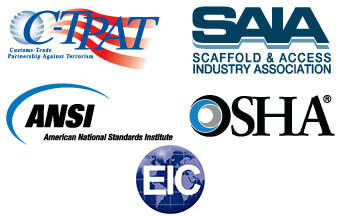 Our Ring Lock Intermediate Transom are fully compatible with other leading ring lock systems around the world.